The region of Burgundy is situated in the heart of France just to the southeast of Paris. This area is known for its rich history and there are numerous well preserved castles, cathedrals and other impressive buildings for visitors to explore, while the gently rilling countryside makes the perfect backdrop. Staying in a mobile in this part of the country is an experience that should not be missed and is sure to delight the senses. Camping Burgundy - looking for a campsite? 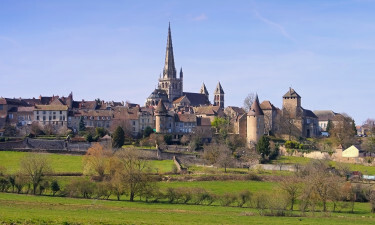 Why Should Visitors Arrange a Camping Holiday in Burgundy? The rich history and varied natural beauty of Burgundy to make this a destination that is sure to appeal to all styles of holidaymakers. Whether you prefer hiking and trekking through the countryside or sampling tasty treats in traditional village cafes, you will find plenty to do in the region, while the wealth of historical buildings that can be found here are also just waiting to be explored. People who book a mobile home on a luxury camping site will have all of this and much more right at their fingertips. This leading site is set right in the grounds of an impressive 16th century castle and is sure to delight guests who have a love for history and architecture. A large fishing pond can also be found on the site that is stocked with a good range of different types of fish for keen fishermen to try and catch, which several pretty hiking trails run through the surrounding area. When it comes to natural beauty, Burgundy is perhaps best known for its sprawling vineyards, which cover large hilly area throughout the region. 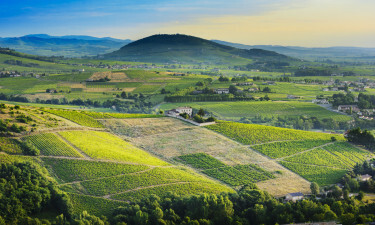 These vineyards are particularly picturesque and a great way to get a feel for their intense natural beauty is to go cycling or hiking through the countryside. Along the way visitors will also find a wide range of other enchanting natural features such as pine forests to explore, while the area’s large lakes and the gently flowing Loire River are ideal spots for fishing and a wide range of other types of water sports. 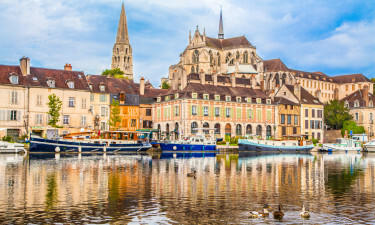 The city of Dijon is the capital of Burgundy and this makes the ideal daytrip destination for people who have arranged a camping holiday in this part of France. This charming city boasts a whole host of impressive buildings such as the Notre Dame church, the Ducal Palace and the Palais de Justice, which dates back to the 16th century. Other towns and cities in the area that are worth checking out include Macon, Avallon, Auxerre and Nevers. Burgundy is famous for its fine wines and no trip to the region would be complete with sampling a glass or two of this classic red wine. 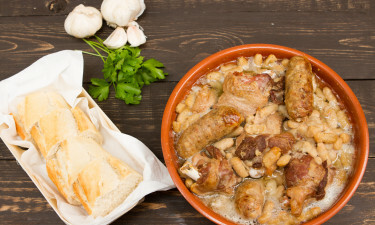 Burgundy wine makes the perfect accompaniment to an evening meal and tradition dishes from this part of France and one of the most famous regional dishes is coq au vin, which is chicken cooked in red wine. The area is also famous for its local cheese, which makes the perfect accompany to the full bodied wine. Burgundy is blesses with a varied climate that is a mixture between oceanic and continental. This means that the weather in this part of the country is generally fairly mild all year round as it is moderated by ocean breezes, so visitors should be able to have fun exploring at any time of the year.